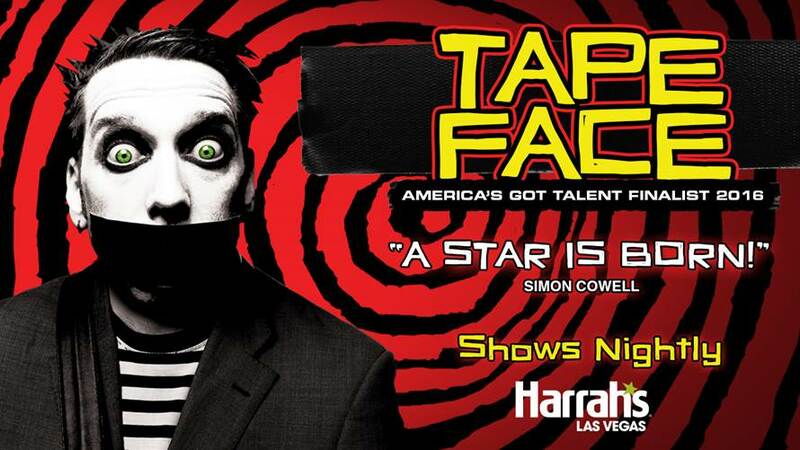 Tape Face brings his original comedy and mime act to the "House of Tape" at Harrah's in Vegas. While he doesn’t talk much…he certainly has a lot to say. Tape Face, the oddly looking fellow who looks like he came out of a Tim Burton movie, has made the nation fall in love with his unique kind of humor. From his winning performances on “America’s Got Talent” to his viral videos on the internet, Tape Face is now the hottest ticket in Las Vegas. And with the newly created “House of Tape” at Harrah’s, it looks like the special lad has found a home in Sin City. If you’re not totally familiar with Tape Face, you’re in for a real treat. He’s a little bit kooky, kind of like a cross between Charlie Chaplin mixed with Edward Scissorhands. Which means you never quite know what he’s going to pull out of his magic back of tricks. 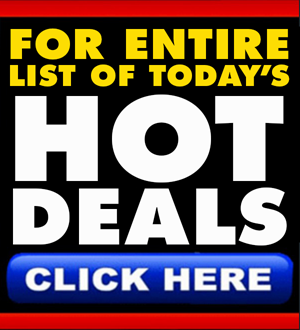 His gags and props remind us a little of the wacky guys over at Blue Man Group. Except Tape isn’t blue. And he’s not in a group. Nope, he’s so weird that he probably doesn’t have any friends…which is partly what makes him endearingly sweet and ultimately, quite the funny man. Perfect for audiences of all ages, Tape Face’s curiosity tends to get his innocent, well-meaning nature in trouble. Which is indescribably fun to watch. He unravels himself, often literally from his observant comedic investigations. He’s got to be the most eccentric mime ever, backed by a soundtrack of strange sounds and inventive music cues.